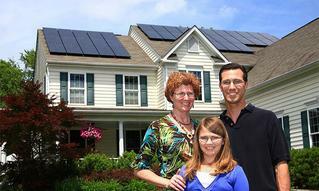 The Solar Foundation and EnergySage have partnered to help you go solar and save money! An independent nonprofit founded in 1977, the mission of The Solar Foundation (TSF) is to increase understanding of solar energy through strategic research and education that transform markets. While solar energy is a key part of our energy future, TSF is committed to excellence in its aim to help people fairly and objectively gauge the value of the solar industry worldwide.